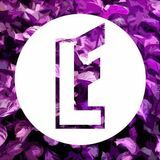 LEST FEST is a innovative music festival held in idyllic rural Leicestershire, the festival was created to promote and expose new music from the local area and across the country. Grown from an extended party into small festival, each year brings something new. We may be small, but we are LOUD. The festival started life as an extended party back in 2012, the venue was the founders back garden. It was born out of the desire to party over the summer! To our surprise the local villagers backed the idea and supported us to create an annual event. The festival has since moved to larger territories as more and more people attend.